Pacific Northwest wines from both sides of the border, led by the Abacela 2016 Grenache Rosé, earned top awards at the 32nd annual Pacific Rim International Wine Competition on Thursday in Southern California. It was a repeat performance at the National Orange Show event for Abacela, the Southern Oregon producer inspired by grapes native to the Iberian Peninsula. 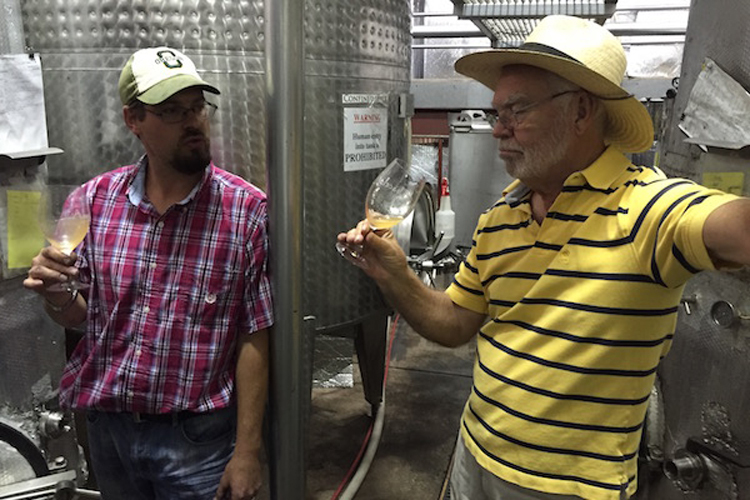 A year ago, Umpqua Valley winemaker Andrew Wenzl earned the best rosé award for Abacela founders Earl and Hilda Jones with the 2015 Estate Grenache Rosé. The 2016 vintage marks the 10th year of production for the rosé wine Abacela first labeled as Rosado for the 2007 vintage, all based on Grenache. The Rhône Valley grape was among the varieties Jones and his family established their vineyard with in 1995 near Roseburg. Ron Bunnell of Bunnell Family Cellar produced three best-of-class wines under his own brand in Prosser, Washington, and two gold medals for Newhouse Family Vineyards. Two of those five gold medals by Bunnell, a former head winemaker at Chateau Ste. Michelle, were for GSM blends: the 2011 Lia and 2015 Scion.